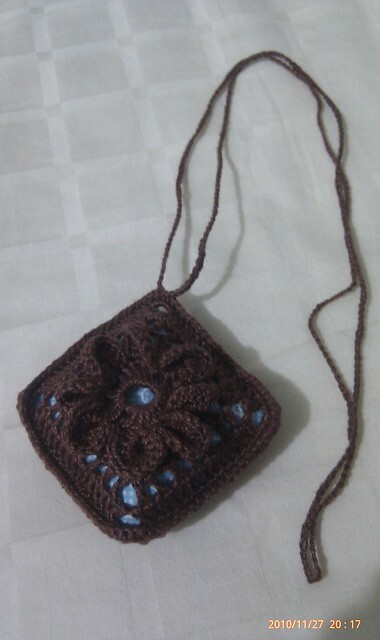 Posted by misscraftyfingers in Crafts, Tools & Accessories, Yarn. 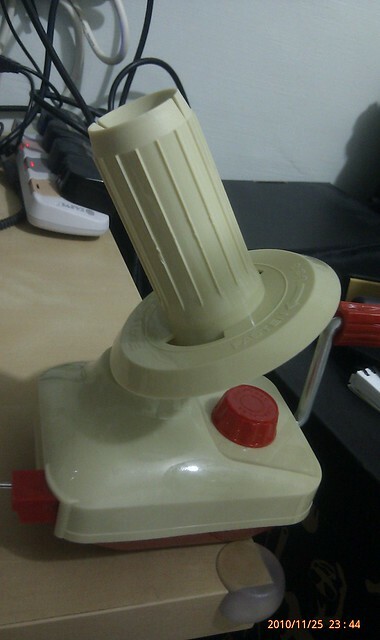 I bought a small ball winder off ebay recently. I think it’s the coolest thing ever! Now I can wind all my left over yarn into nice centre pull balls and store them neatly. So I started to wind …… first couple of balls went ok because it was not a lot of yarn. Then, I started to wind something more and I realised that my ball winder was unable to wind a bigger ball of yarn. 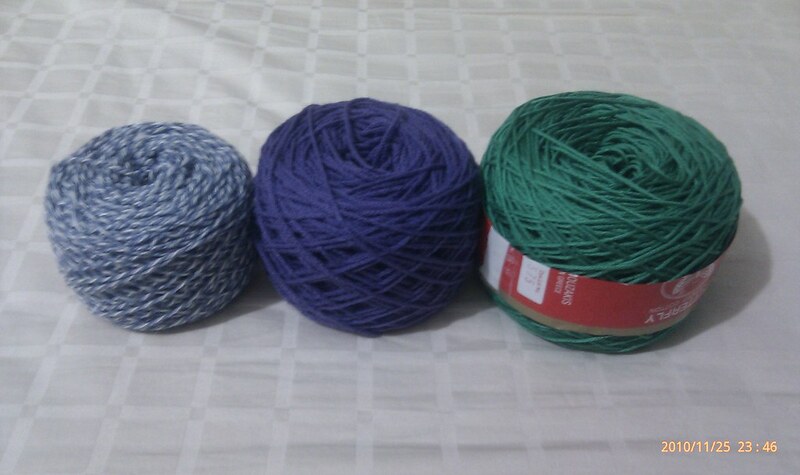 😦 I don’t want to break my yarn and sometimes, I have a lot of left over yarn! 😦 I was beginning to think that I’ve wasted my money on this gadget . boo. Oh well …. 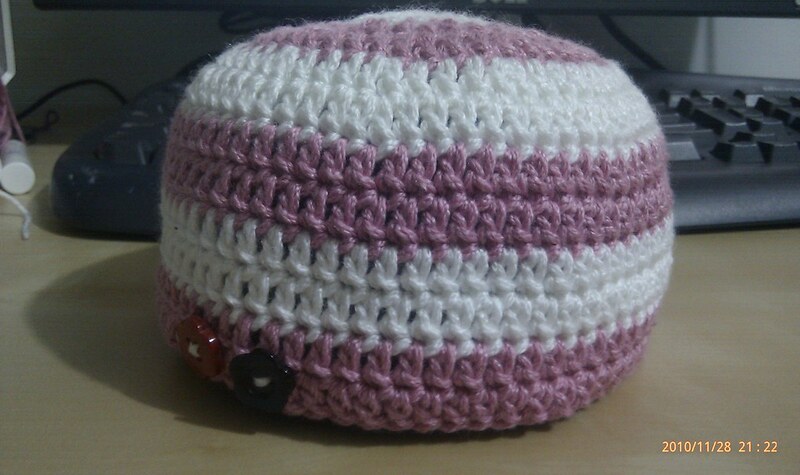 I tried to wind as much yarn into a ball anyway. Then something struck me. When the size of the ball of yarn gets too big for the spindle to handle, the yarn overflows to the top & bottom of the ball. I thought that if I had a taller spindle, it will solve this problem. 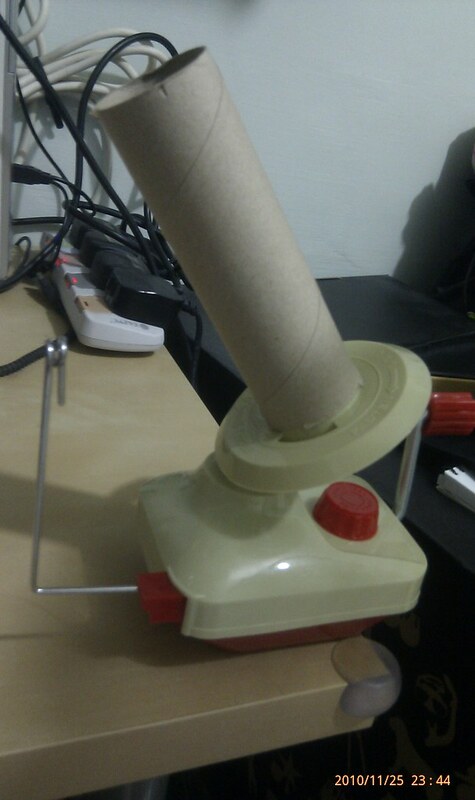 It’s the paper holder for my paper kitchen towels. LOL. 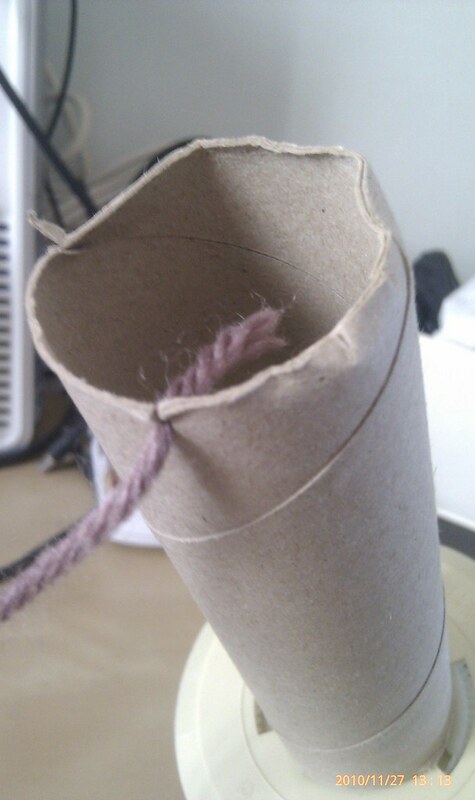 Somehow, this paper tube fits the plastic spindle perfectly. 😀 Well, the paper tube has to fit your spindle firmly & securely. If it’s loose, it will fly off when you’re winding. LOL. I made a small cut at the top of the tube with a paper cutter. 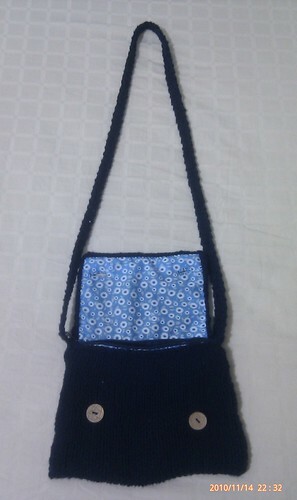 This is to hold the end of the yarn before the winding starts. I slide the ball of yarn out from the paper tube after the ball of yarn is wounded up. 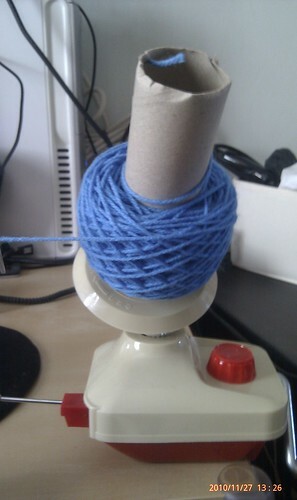 And now, I can wind huge balls of yarn, no problem! yay! See the picture below for comparison of the size of the balls of yarn I can wind now. The blue tweed one is about the size that can be wound up using the original spindle. The 2 larger balls are wound using the kitchen towel paper holder. 😀 Yay for paper kitchen towel holders! 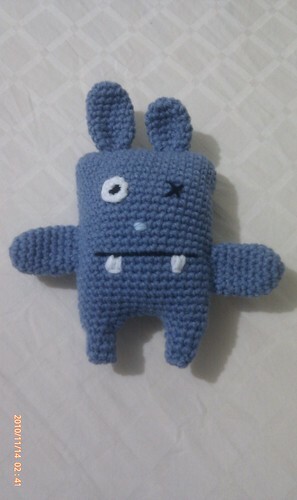 Posted by misscraftyfingers in Crafts, Free Pattern, Knitting. Repeat rows 4 and 5 till the work is around 1.75 inches. Repeat Reduce Row 1 & 2 till you have 3 stitches left on a knit row. BO all 3 stitches, weave in ends. Thread your sewing needle with thread. 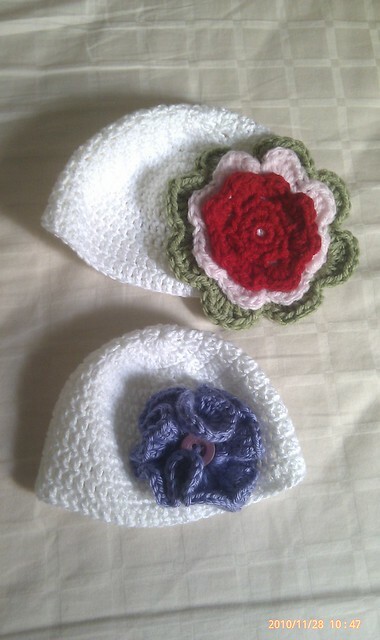 Hold the base of the petal and sew it tight for each petal so as to create the “crease” so the petals will curl. 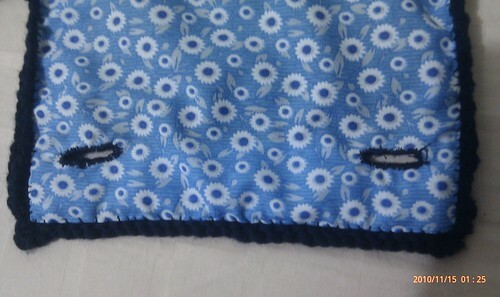 Sew all 6 petals together. 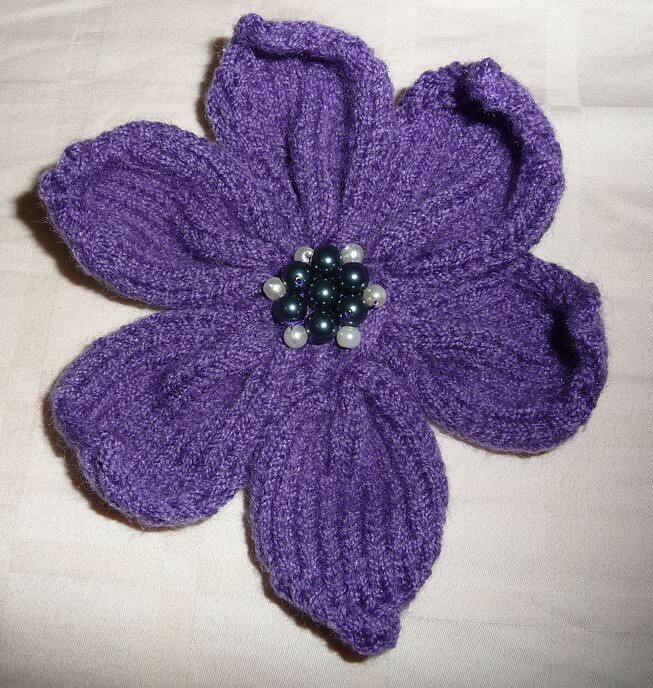 Sew on your beads, pearls, sequins or a button to the centre of the flower. With DK weight yarn (I used Sirdar Wash ‘n’ Wear double crepe DK), my flower came to about 4 inches or so. 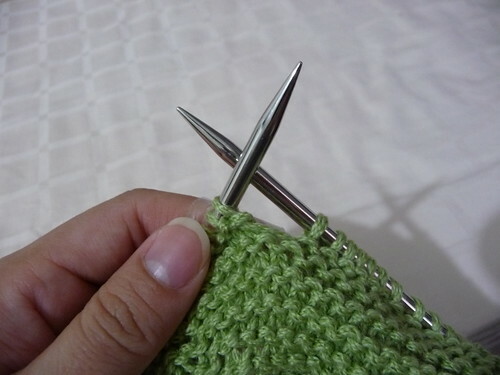 If you are using a thicker yarn and larger needles, you can CO less stitches. 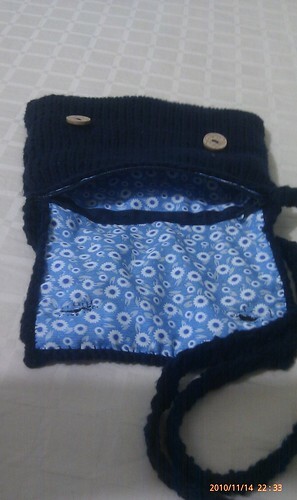 I tried with Caron Simply Soft yarn and CO only 6 stitches. It works too. 😀 I find it easier to sew with sewing needle and thread rather than tapestry needle and yarn for assembly. It’s really up to your own preference. But with sewing needle and thread, you will have to make sure that the stithces sewn are very tight otherwise the petals will come loose. 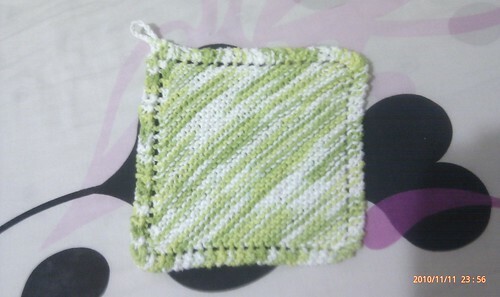 I suggest using yarn that has a bit of sheen, especially if you are putting pearls in the middle. It make the flower a lot prettier! 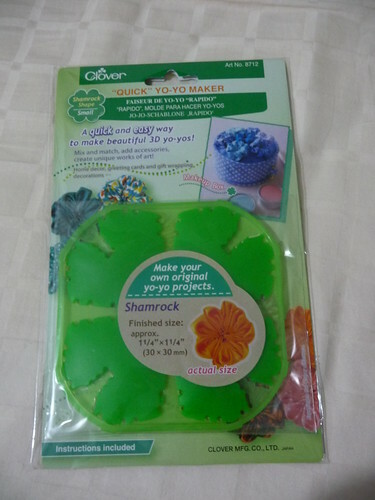 Posted by misscraftyfingers in Crafts, Equipment, Knitting, Stuff. 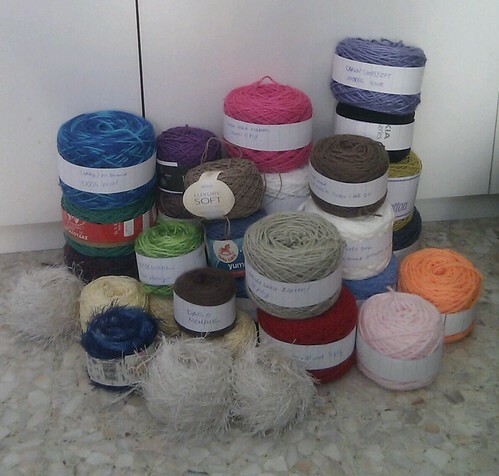 I bought a bunch of craft stuff today …. 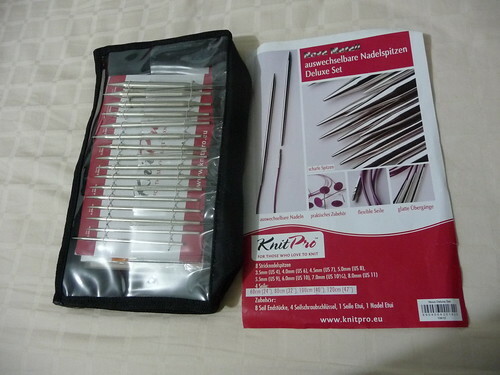 A set of KnitPro interchangeable cables knitting needles! They are the same as Knit Picks …. same manufacturer, just different branding. 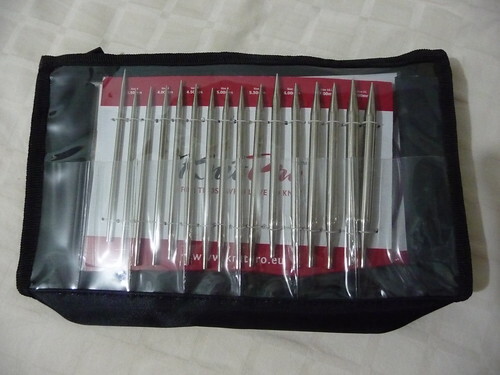 Knit Picks is for USA/Canada market while Knit Pro is marketed to the rest of the world. 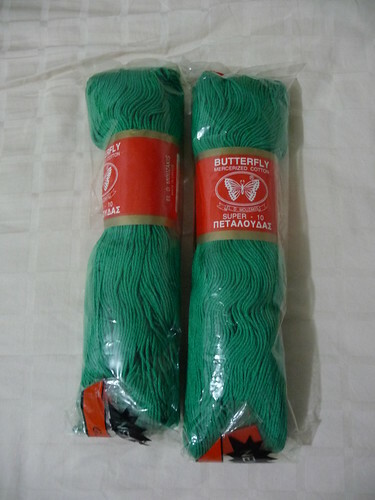 2 skeins of El D Mouzakis Butterfly Super 10 yarn … 100% mercerised cotton, 230 metres per skein, S$15 each. Decently priced I’d say. Good quality too! 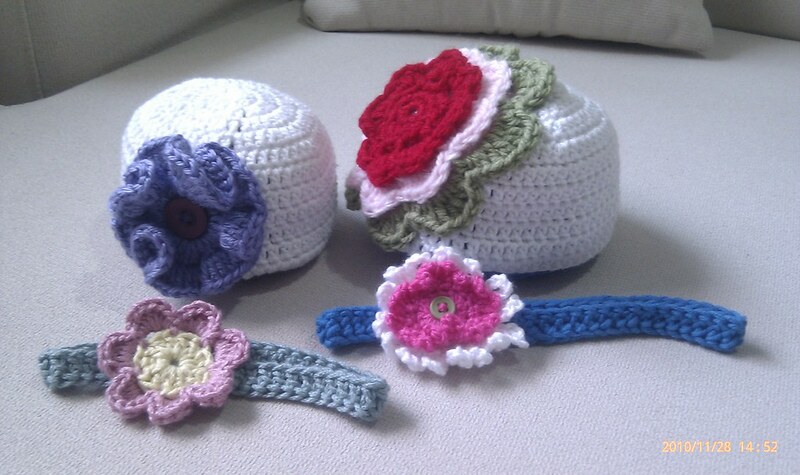 Posted by misscraftyfingers in Crafts, Crochet, Knitting. 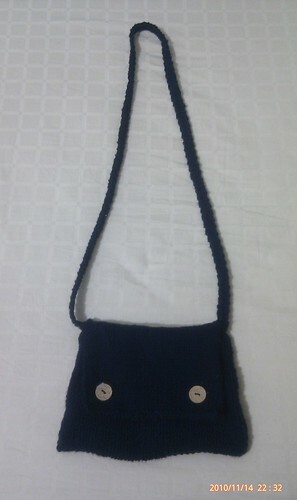 And a knitted new bag! I need to stop being lazy and start taking pictures with my camera instead of my phone cam. The phone cam on my HTC Desire is crap!